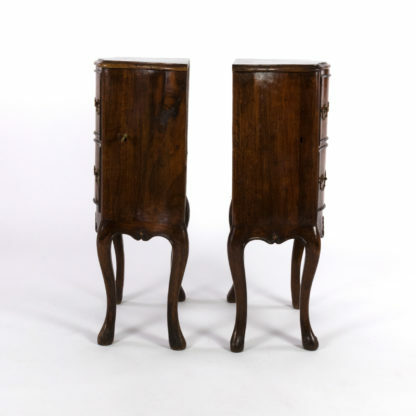 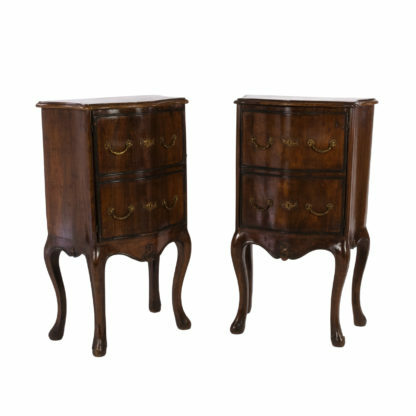 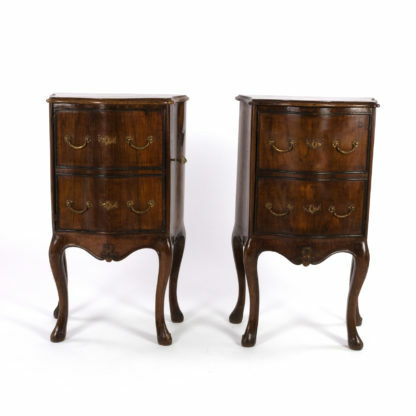 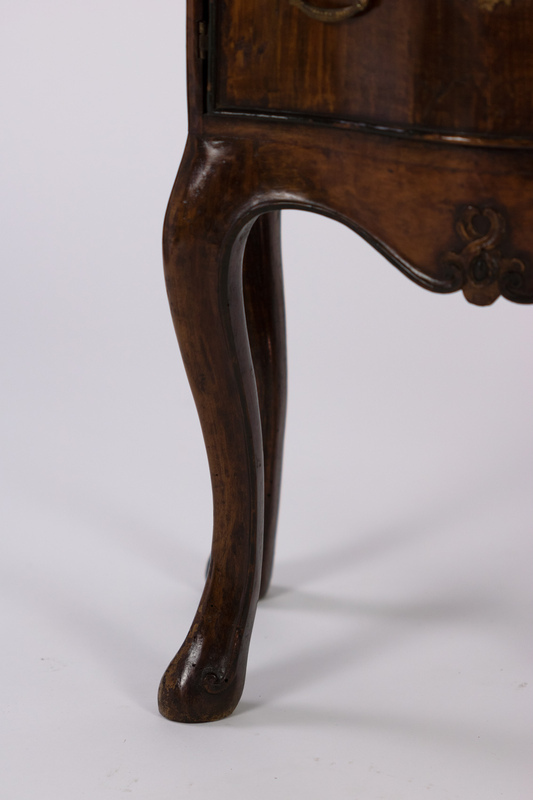 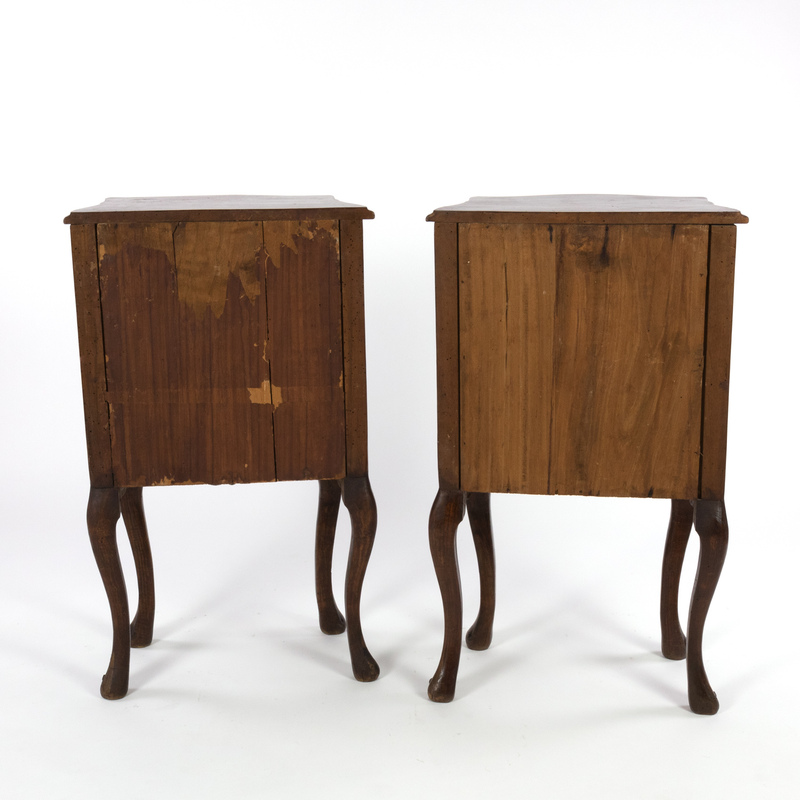 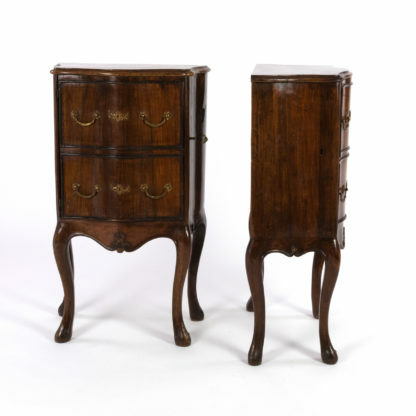 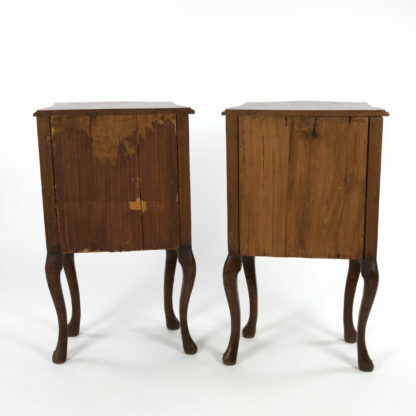 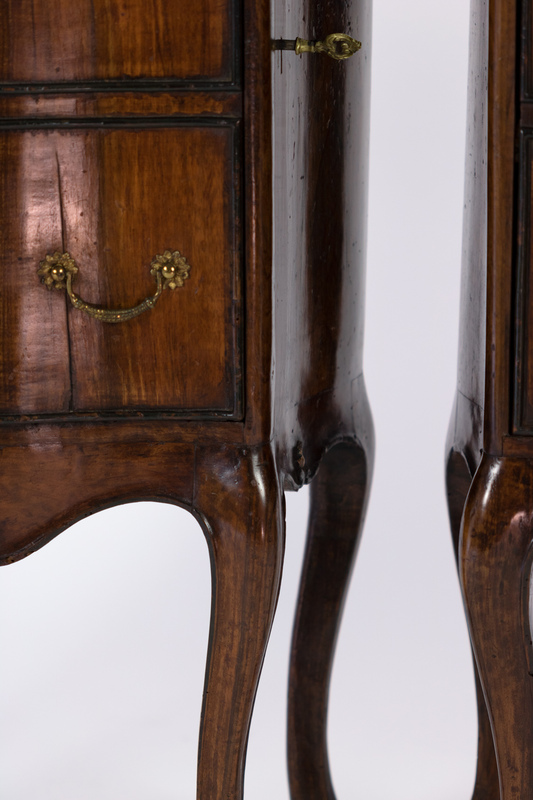 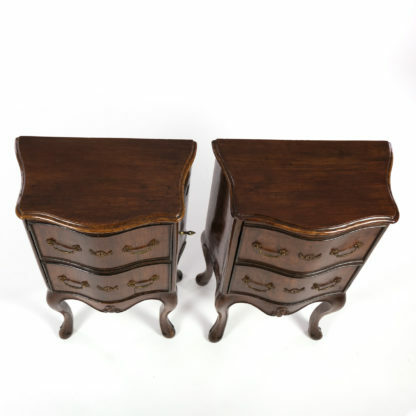 Pair of Italian walnut bedside tables with carved and ebonized details, each with faux drawer front single doors, circa 1890. 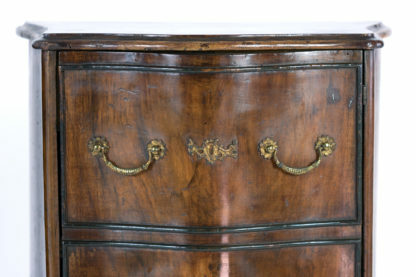 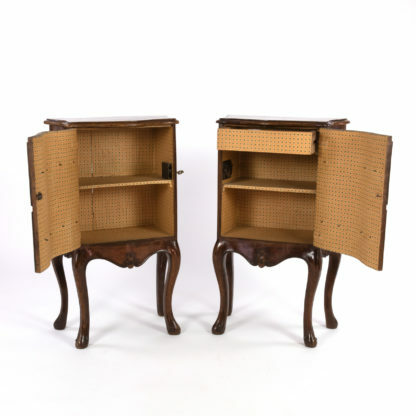 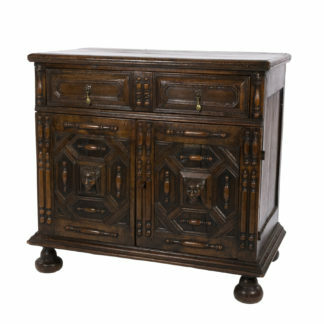 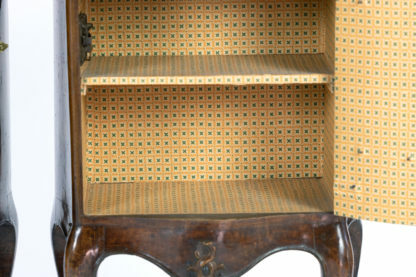 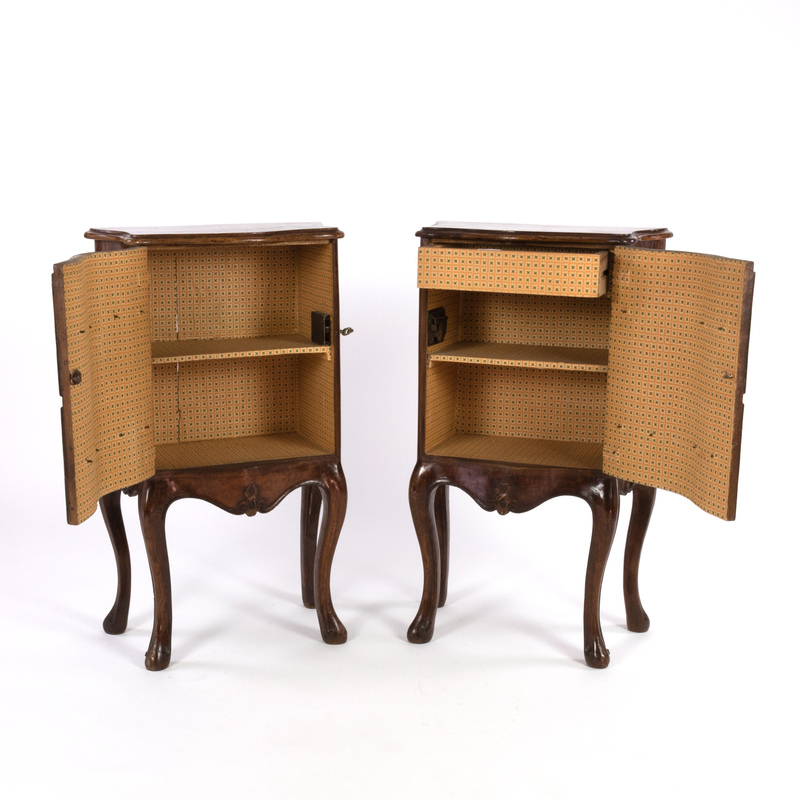 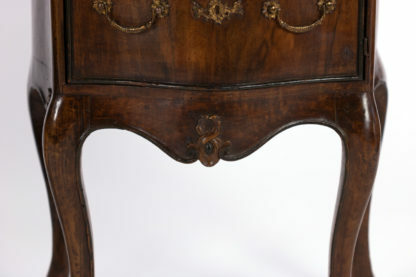 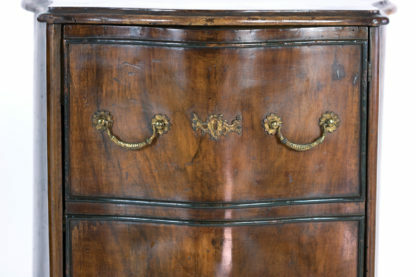 Two gently bowfront cabinets with two faux-drawers details, brass escutcheon and on each cabinet door with carved apron and cabriolet legs. 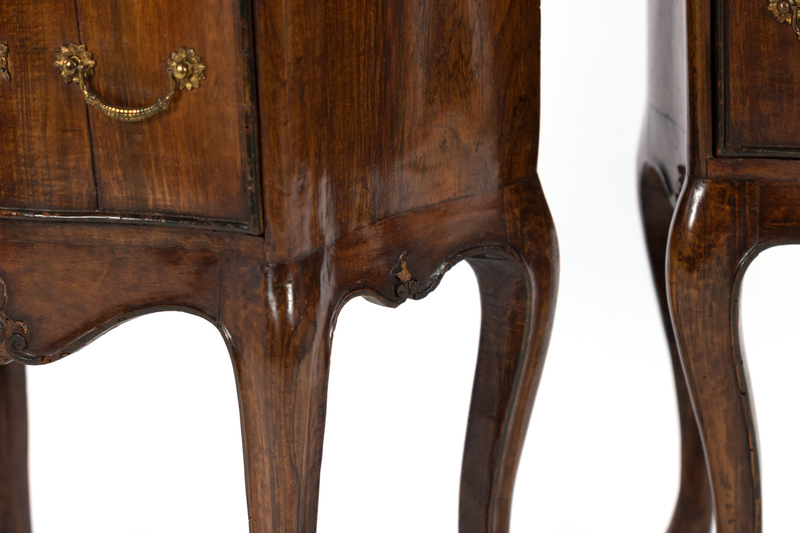 height: 33 in. 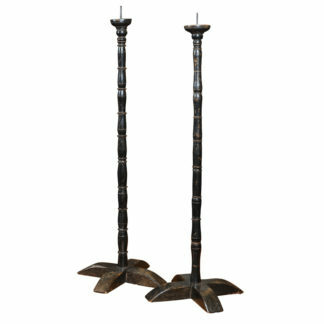 84 cm., width: 19 in. 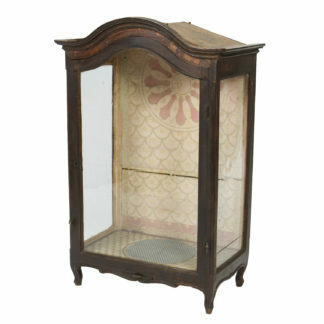 48 cm., depth: 12 in. 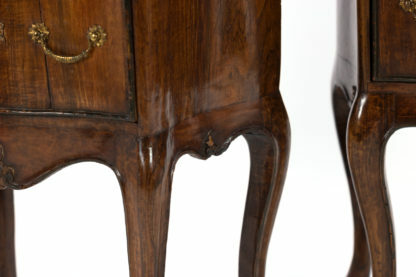 30.5 cm. 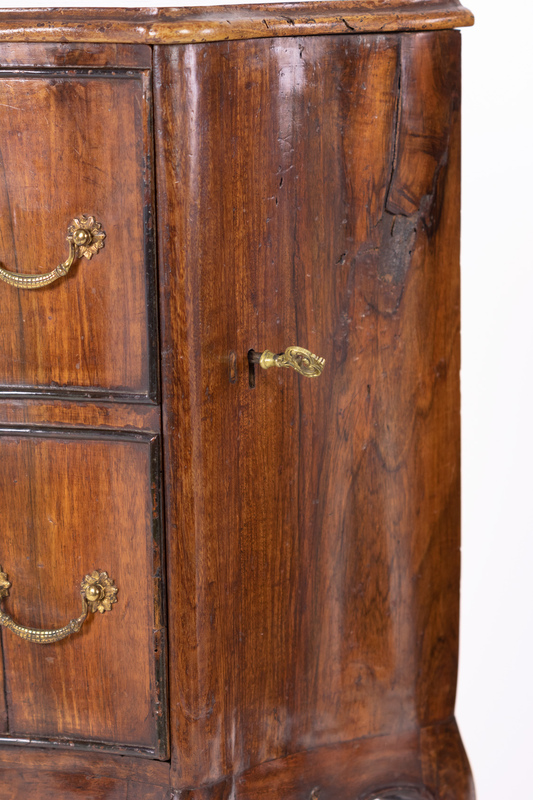 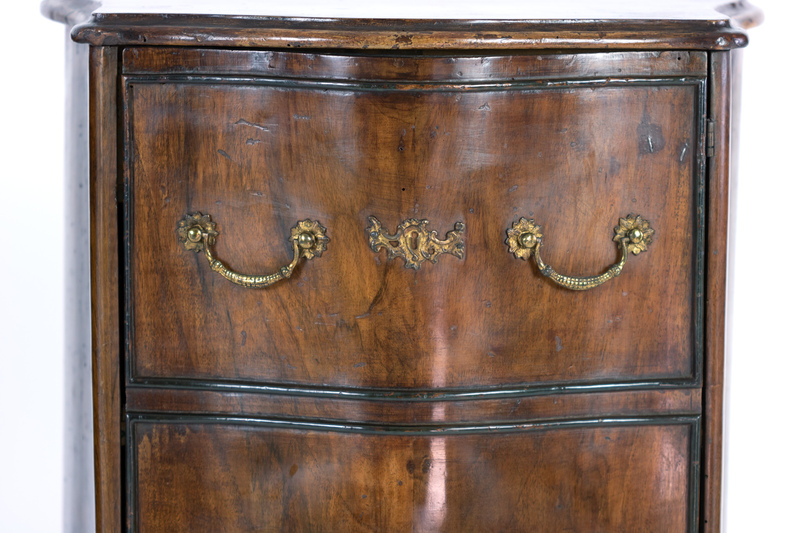 Late 17th/Early 18th Century Oak Cupboard Adorned With Decorative Geometric Mouldings And Split Spindle Appliqués.